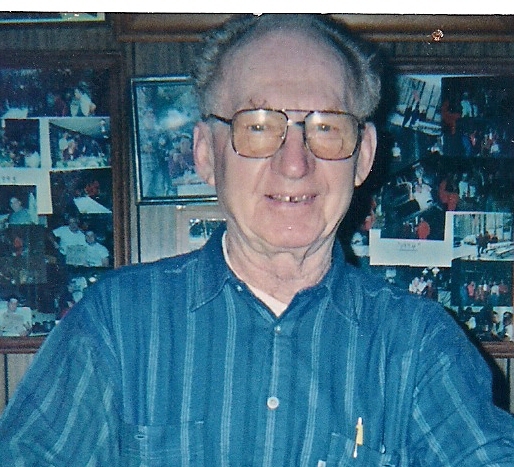 Obituary for Reid Hoskins Diggs, Jr.
Reid H. Diggs Jr. 87 passed away peacefully at home in Machipongo. Born on June 28th, 1930 in Union City, New Jersey. His family moved to Staten Island N.Y. when he was one. He started working as a young boy cleaning out the neighbors coal furnace and would come home and put the money on the table. After school he would deliver the newspaper, for every paper he delivered he would make a penny. On the real cold winter days Mrs. Schwartz would give him a pork fat sandwich on homemade bread wrapped in wax paper to eat to keep him warm, and of course he would save the wax paper. In his early teens, he and his buddies would take a paddle wheel steamer named the Alexander Hamilton up the Hudson River to go camping. They would get off in the town of Catskill where they found an old barn to camp besides. A few weeks later they went back to camp again and the farmer had put up a sign, it said "commit no nonsense" but he never ran them off. His best summer job was on a dredge boat in the harbor because "they fed you good. "He enlisted in the naval reserve when he was 17 and was called up for active duty at 19. He was assigned to the Destroyer USNS JAMES C. OWENS during the Korean war,where he served until 1952. He did body & fender work for a few years before joining the New York City Police Department in 1955. Starting pay was $1.87 an hour,he walked a beat for several years,no radios back then just a call box every few blocks. If an officer got in trouble at night he would tap his nightstick on the sidewalk hoping another officer would hear it and most of the time the whole neighborhood would come outside to see if they could help. He eventually moved up to a patrol car, but the cars had no heat. After protecting and serving for 25 years, he retired and moved his family to the Eastern Shore of Virginia in 1980. He loved the outdoors and shared that love with his children. His favorite tree was a Copper Beech. He was a founding member of the Little Horn Hunting Camp in upstate New York. He never missed an opening day for 62 consecutive years, even after moving to Virginia. Although the last 30 years or so, were more about card games and camaraderie than they were about hunting. He and his wife loved to travel. They drove to Alaska and back in a homemade camper, 13,780 milies roundtrip. He loved to tinker in his wood-working shop. He took up decoy carving and even painting. He would make birdhouses just to give away. He was the last surviving brother-in-law of the world-famous Cantale sisters. The sisters included Rosina, Louiegina, Michelina, Antonina and his wife of 51 years, Josephina. Our beloved Josephina (Jayebird) left us in 2009. He is survived by his 2 sisters, 5 children, 7 grandchildren and 4 great-grandchildren. For all the lives he has ever touched, he will be forever missed. Funeral Services will be held on Sunday, December 17th at 2:00 p.m. at Cape Charles Cemetery with the Rev. Tom Kellam officiating. Online condolences may be sent to the family at foxandjamesfh.com Arrangements by Fox and James Funeral Home, Eastville. Funeral Services will be held from the graveside at Cape Charles Cemetery on Sunday, December 17th at 2:00 pm. with the Rev. Tom Kellam officiating. Online condolences may be sent to the family at foxandjamesfh.com Arrangements by Fox and James Funeral Home, Eastville.